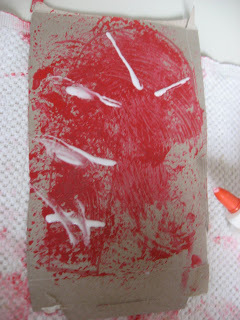 I am always trying to sneak in different textures and use different tools during art time , this craft does both. 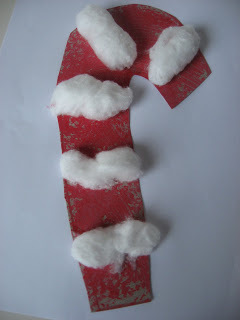 Using things you have around the house you can make a delightful little candy cane ! Gather your materials. 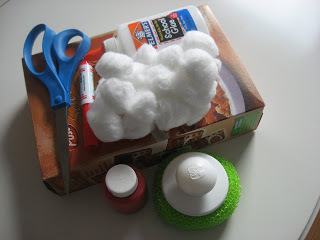 You will need some cardboard ( like an old cereal box), some red paint, a marker, glue , cotton balls and something to paint with. 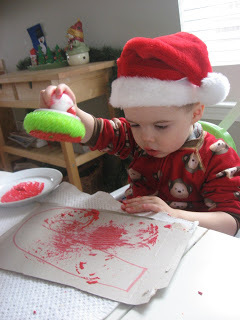 We are using a dish scrubber because it’s been a while since we’ve painted with it but anything will do, finger painting is a great option too! 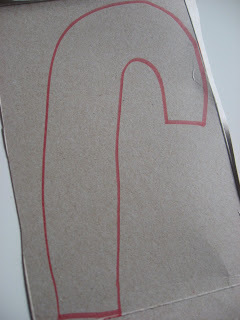 Start by drawing a candy cane on the cardboard. Paint it red and let it dry. 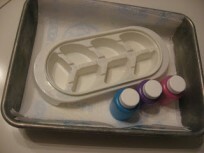 Add some stripes of glue. 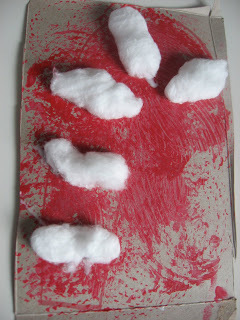 Pop on some cotton balls and Let dry. When it’s all dry cut it out and you have a sweet , soft and fluffy treat! 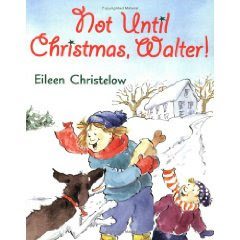 ” Not Until Christmas Walter!”by Eileen Christelow is a cute book that captures the relationship between a girl and her four legged best friend! Walter the dog is eager to get at his present before the big day, when he opens it before Christmas he ends up in the doghouse! It takes a few events to earn his position as a best friend back but he finds a way! The book is broken into 3 chapters and would be a great book for children in the gap between picture books and chapter books. 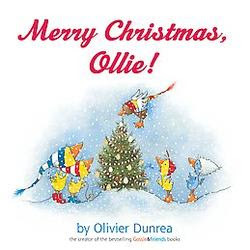 ” Merry Christmas Ollie” by Olivier Dunrea captures the feelings of children leading up to the holidays…wait…wait…wait… I remember those feelings well. 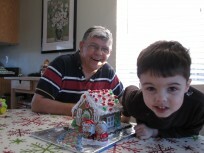 Patience is a hard thing to learn for big people, but it’s almost impossible to be patient when you are waiting for something as magical as Christmas when you are little. This book is a great vehicle for talking about being patient, and the little geese will enchant you! 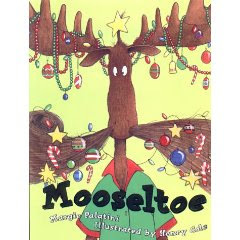 ” Mooseltoe” by Margie Palantini is a funny holiday story with the characters from Moosestash , this time Moose is set on making Christmas perfectly perfect, only ooops he forgot the tree! Luckily he offers up himself and doesn’t do too bad a job as a Christmas tree! This book was to long for my toddler but older preschoolers and even school age kids will love the humor and fun illustrations. 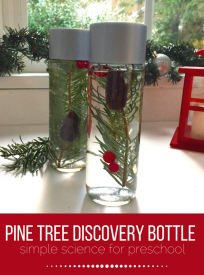 I check your blog every day and love the ideas. Thanks again for sharing!